New Jersey plays an important role in the Burgerverse for many reasons but as it relates to this blog, that’s where the Burger Conquest began back in 2008 at Arthur’s Tavern in Hoboken. As a state, it also claims it’s own Burger style in the form of a NJ Slider, a smashed Patty, flat griddled with Steamed Onions & Cheese served on a White Squishy Role. Some (me) may claim however that the style belongs to Michigan but let’s save that for another discussion. I recently relocated back from inside the walls of NYC, the known center of the Burgerverse (according to extensive research that I made up for the sake of this post) back to Jersey City. I quickly realized that I have no idea where the best Burgers are in the Garden State. So I took to the blog and asked you to send me your suggestions. Which by the way, you can still submit suggestions via the Best Burger in NJ form. That aside, it’s been about a month so let’s reveal the results. 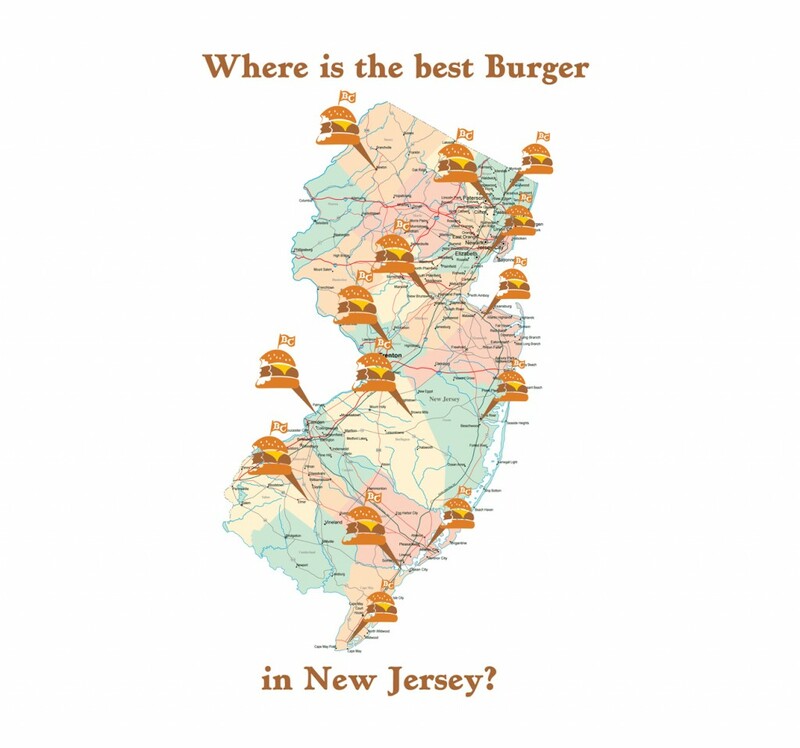 Here’s a map of the Best Burgers in New Jersey. And now that New Jersey has spoken up, it’s time we hear from the Burger fanatics in Westchester and Rockland Counties. Submit suggestions via the Best Burger in form. This entry was posted in Best Burger in New Jersey, Burgers, Hamburgers, New Jersey and tagged arthur's tavern, bar, Bergen Burger, best burger, Blitzburger, Boom Burger, burger blog, burger club, burger conquest, cheese, ciancio, david, East Coast Burger Co, french fries, gourmet burger, great burger, hamburger, hoboken, Krug's Tavern, Left Bank Burger Bar, new jersey, Northvale Diner, restaurant, rev, review, Stage Left, The Dutch House Tavern, vote, white mana. Bookmark the permalink. We are honored to have made # 3 best burger in the state !! Love Krugs Tavern!!! Best burgers hands down!! What kind of poll is this?? You mean there are NO good burgers south of New Brunswick?? Looks like you only heard from NORTH Jersey, NOT the whole state! I call shenanigans!! You’ve have to go to the Fire Pit Grill in Ridgefield Park!! It’s the town best kept secret, they have fresh ground beef and alot of flames. Now the best part is they have all kinds of topping you can put on your sandwich FOR FREE! !